What Makes Vanaire FRP Fans Exceptional? 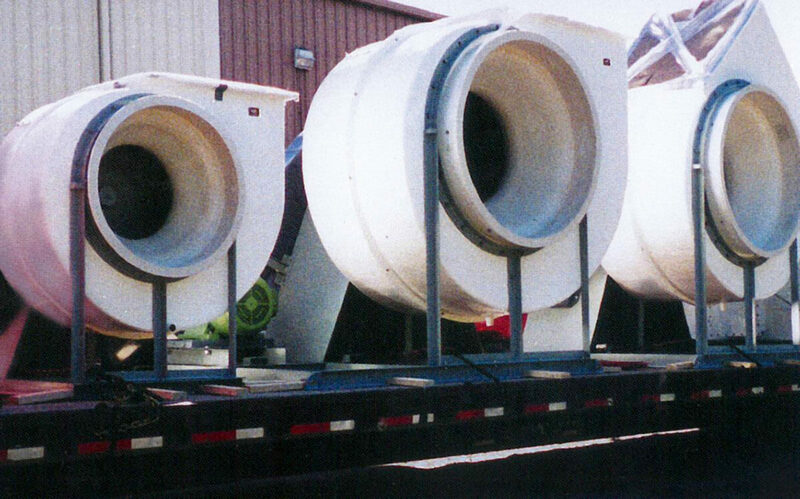 Vanaire’s proprietary process of fabricating our Fiber Reinforced Plastic is the secret behind our corrosion-resistant Centrifugal Fans and Blowers. Our engineers have several decades of combined experience in the manipulation of FRP materials to build advanced Air Pollution Systems. Vanaire’s FRP Centrifugal Fans and Blowers from Vanaire are customized according to the specific requirements of our clients. Contact the Vanaire team to commission an FRP Fan and Blower System for your facility.